How about some country music on a warm and lazy September afternoon? 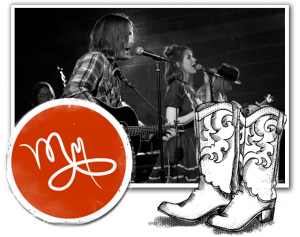 Molly Alphabet is a country singer-songwriter born, raised, and residing in the Lawrenceville neighborhood of Pittsburgh, Pennsylvania. Molly got her start when Chet Vincent (of rock band The Big Bend) wrote a batch of country tunes for a 5-song recording project in 2012. They had so much fun putting together that EP that they began booking live shows and haven’t slowed down since. This is the fourth in our series of “Pay It Forward” events featuring all local music. This show is being funded by the music lovers attending the third Pay It Forward show on August 20 featuring the Red Beans & Rice Combo. Your donation will be used to help fund the fifth and final show in the series, which will feature The Jakob's Ferry Stragglers and Mark Dignam at Bayardstown Social Club. Your donation entitles you to admission to the Molly Alphabet show AND the final show of the series to be held on October 15, more details here: https://www.showclix.com/event/PIF-JFS-MD. We are limiting attendance to 50 adults. This band has a loyal following, so don’t wait to reserve your spot. Click the “Registration” link above to register and donate. No registrations will be available at the party, you must register in advance. This event will be potluck-to-share and BYOB. Ages 21+ please, but kids are welcome to attend with their parents. No donations requested for kids. Bring some extra $$ to buy merch from the band! We have 60 folding chairs but feel free to bring your own chairs or blankets. The show goes on rain or shine unless it is an unending monsoon.